← Biscuit Ice Cream? Yes! What are the chances? How do the stars align in such a way as to bring biscuit people together so unexpectedly? Here’s the story. We arrived late to the Yelp event and found ourselves seated next to an interesting couple we had not met before. It was a rather long, drawn out meal with a multitude of courses so we had plenty of time to chat and get to know one another. She is getting her PhD in Special Education. He is a puppeteer. Really. A puppeteer. You don’t run into those every day, do you? “Have you been to the International Biscuit Festival in Knoxville?” he asked. At that point, he shared that he had actually competed in the Bake-off at the Biscuit Festival, in the savory category. He won first place in the category! I felt like I was seated next to a star, a Biscuit Superstar. What are the chances? Seriously. I was beside myself. Much discussion of biscuits ensued. The proper kind of baking powder (aluminum-free). 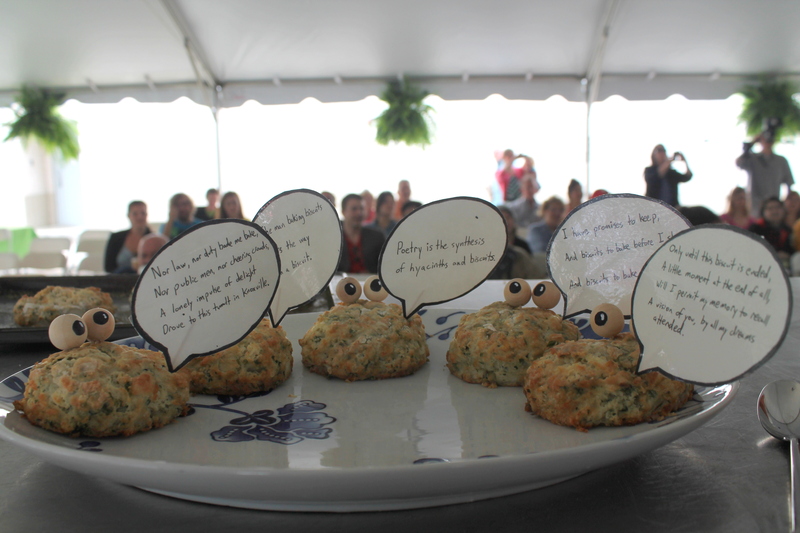 The variety of biscuits tasted at the festival (like the Pimiento Cheese one). Favorite biscuit places (he recommends Biscuitville in North Carolina). How the Bake-off actually works (prep before you get there). We had to admit that we were so stuffed after sampling all the biscuits at the festival, that we did not stick around for the Bake-off. We will have to change that next time! Well, he was kind enough to share his award-winning recipe for Paige’s Family Dinner Biscuits and photos from the bake-off. Don’t you just love the eyes and the quotes? 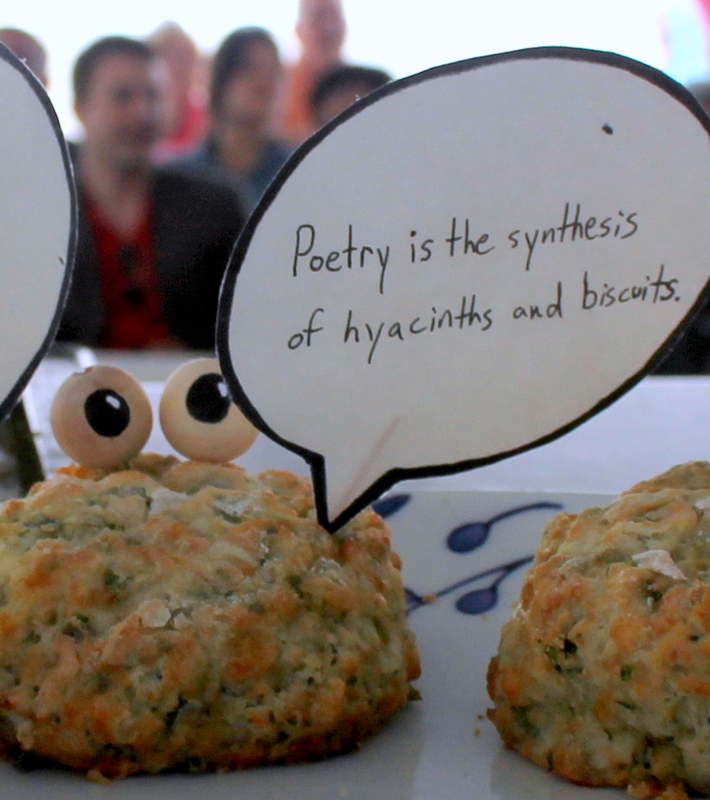 I particularly liked the “hyacinths and biscuits” one. It is from Carl Sandburg. Stay tuned for my next post, in which I will include the recipe and my attempt to recreate these winning savory biscuits! Thank you to Matt Sandbank for the photos and upcoming recipe! This entry was posted in Activities and tagged Baking, Biscuit, biscuits, buttermilk, contest, International Biscuit Festival, Knoxville, recipe, Yelp. Bookmark the permalink. 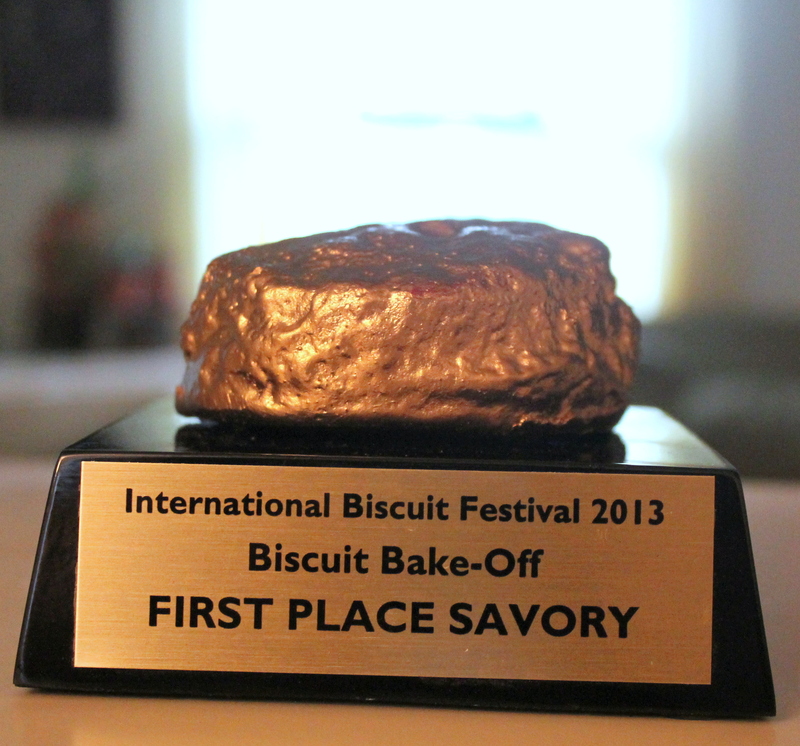 I’ve heard many good and fun things about the Biscuit Festival. Look forward to seeing the recipe. Yum! What a fun, serendipitous story! Love it! Don’t know if you saw this, but I thought of you when I did. Thank you, Janet! I had heard that it is National Biscuit Month, but have yet to come up with a proper way to celebrate. I’ll work on that :-). As always, thanks for reading! Persnickety Biscuit is the creation of me, Ann, from Nashville. I love biscuits!